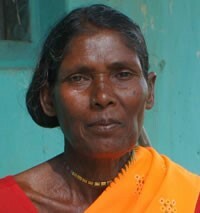 The Nagarchi have a number of clans, and use community or clan names as their surnames. They marry only within their own people group. All the sons get an equal share of the property after the death of their father. Marriage rituals include circling the sacred pole seven times. Many are employed in some aspect of farming, and some collect firewood in nearby forests and sell it locally. They play the drum on a hired basis during birth and marriage rituals. The Nagarchi live in India and Bangladesh, with tiny numbers also found in Bhutan and Nepal. The worldview of Hinduism is very different than that of Biblical Christianity. A different way of thinking is involved, and changing worldviews usually comes with difficulty. Perhaps the Christians within this people group will become mature enough in the faith to carry the good news about Jesus to all of their own people, in Bangladesh, India, Bhutan, and Nepal. Please pray for these Christians. Please pray the several hundred Nagarchis in India who have identified themselves as Christians will learn to live holy lives, "craving pure spiritual milk, so that by it they may grow up in their salvation, now that they have tasted the Lord is good." 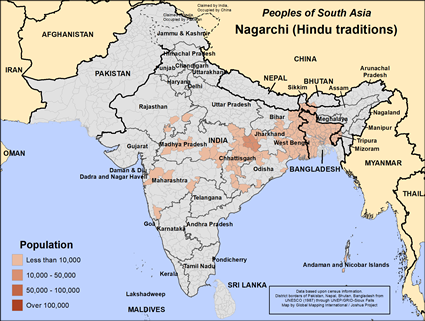 Please pray the Nagarchi people will gain no satisfaction from a religon that keeps them from knowing the creator God, one who loves them and offers them an abundant life both now and eternally. Pray for a growing hunger to find and know this God. View Nagarchi (Hindu traditions) in all countries.